Drew Tanney, Clearwater Personal Injury Lawyer & Wrongful Death Attorney Clearwater, Tanney Griffith & Bresler, P.A. Drew Tanney was born in Ft. Myers, Florida but raised in Clearwater graduating from Clearwater High School then attending the University of Florida and Georgetown Law School. His first job out of law school was with the prosecutor’s office in Cobb County, Georgia handling criminal jury trials and probation revocation hearings on behalf of the county. He then returned to his native Clearwater, Florida where he has exclusively engaged in the personal injury practice representing injured victims of negligence since that time. Mr. Tanney has been married to Teresa Tanney for over 30 years with whom he has raised 4 children, a son and three daughters. He and his family have been active in their church and school activities. He remains very involved with his four children who are now grown and is a proud grandfather. Member, Georgetown Law Journal, 1980-1981. Prosecuting Attorneys' Council, 1981. Assistant Solicitor, Cobb County, 1981-1983. Barrister, American Inns of Court, 1988-1990. Served on Board of Directors, Clearwater Bar Association. Mr. Tanney represents only injured persons and their family members in personal injury and wrongful death cases. His areas of practice involve primarily motor vehicle accident and motorcycle accident cases, as well as premises liability, slip and fall and trip and fall cases, and dog bite cases. Mr. Tanney has obtained numerous six and seven figure results for his clients through either settlements, judgments or verdicts. 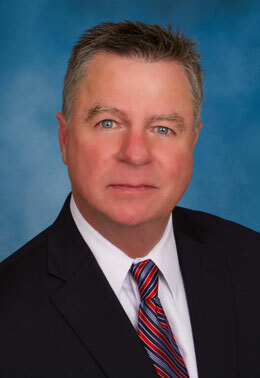 Mr. Tanney has represented injured persons in state court throughout Florida. He has also represented injured persons on appeal in state appellate courts throughout Florida. Represented Cobb County as a prosecutor handling criminal jury trials and probation revocation hearings. Based in Clearwater, the personal injury law firm of Tanney, Griffith & Bresler serves clients throughout the state of Florida especially the Tampa Bay Area, including: Clearwater, St. Petersburg, Indian Rocks Beach, Treasure Island, Redington Beach, Redington Shores, Madeira Beach, St. Pete Beach, Belleair Beach, Palm Harbor, Tampa, New Port Richey, Port Richey, Hudson, Bayonet Point, Largo, Lutz, Palm Harbor, Pinellas Park, Dunedin, Tarpon Springs, Belleair, Seminole, Bay Pines, Gulfport, East Lake, Oldsmar, Brandon, Spring Hill, Safety Harbor, Pinellas County, Hillsborough County, Polk County, Pasco County, Manatee County, Bradenton and Sarasota County. © 2019 Tanney, Griffith & Bresler, P.A., All Rights Reserved.